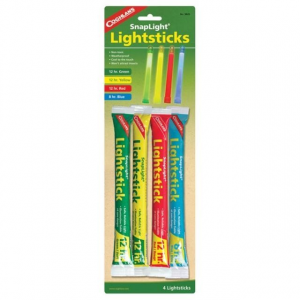 Visit Coghlan's's Snaplight Lightstick page. 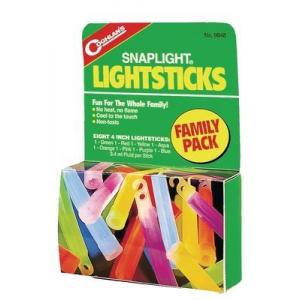 Coghlans Accessory Lights Family Pack Lightsticks (8 Pk) 159152. 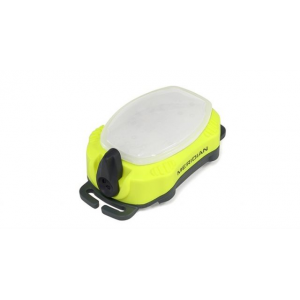 This chemi-luminescent technology is available in several colors which allows the Snapstick Lightsticks to be used as warning lights marker lights signal lights dive lights or safety lights as well as dozens of other applications when camping fishing hunting or hiking. 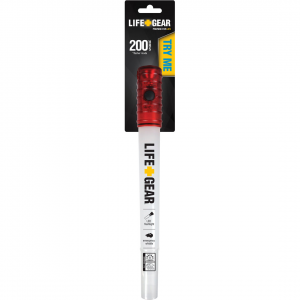 These disposable lightsticks require no batteries or electricity, making them ideal for emergencies. 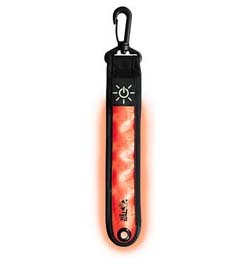 Each nontoxic lightstick measures six inches long and creates no flame or heat, so it's cool to the touch. To activate, just bend once, snap and shake. Hole at end allows tubes to be hung from string or attached to clothing. Each stick provides 8 - 12 hours of light, depending on outside temperature. Lightsticks come individually wrapped and have a shelf life of four years. 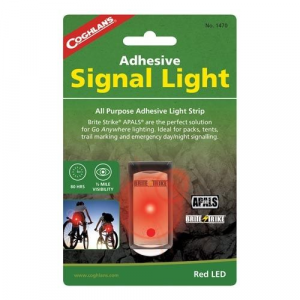 Coghlans Snaplight Lightsticks glow for 12 hours without heat or flame. They stay cool to the touch and are nontoxic ? 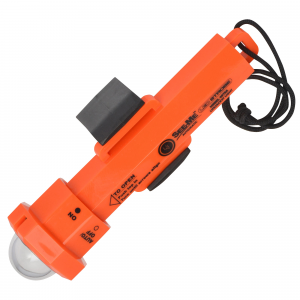 perfect for emergency power outages, in the car, or anywhere you need light. Glowsticks have a hook for convenient hanging. Package contains 2 glowsticks.